S.D. NELSON. 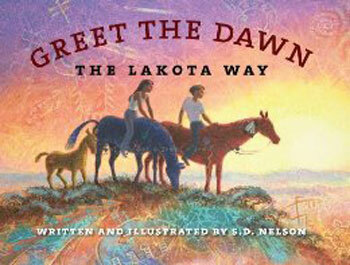 Greet the Dawn: The Lakota Way. South Dakota State Historical Society Press. Hardcover, $18.95, www.sdshspress.com. This member of the Standing Rock Lakota tribe shows children how the Lakota people “greet the dawn,” the perfect way to not only begin the day but to resume the Lakota way of living in balance. A rich book.